This weekend is a time to start challenging our assumptions or the ideas we may have had about those with a disability or families with members who have a disability. Suicide is the leading cause of death for Australians aged between 15 and 44. Today is R U OK? Day, imploring us to begin conversations with those around us and provide support in order to prevent the silence that leads to these staggering statistics. So, let's talk. Rebecca Davis lifts the lid on suicide. A LANDMARK $4 million boost to security upgrades for the Victorian Jewish community was announced by Premier Daniel Andrews at South Caulfield Hebrew Congregation on Sunday. "PEOPLE need a leader – but no less than a leader needs his people," proclaimed Rabbi Philip Heilbrunn to more than 360 guests at the induction of South Caulfield Hebrew Congregation's (SCHC) new rabbi, Daniel Rabin on Sunday. RABBINICAL Council of Victoria president Rabbi Daniel Rabin has been appointed as the new rabbi of South Caulfield Hebrew Congregation (SCHC). 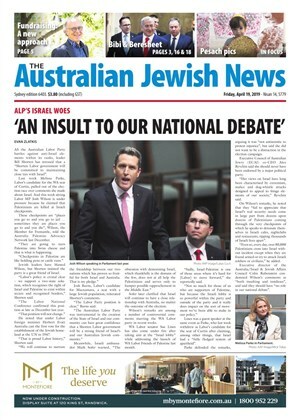 A CONTROVERSIAL “siruv” prohibiting the hiring of a rabbi or service leader has been lifted from South Caulfield Hebrew Congregation. 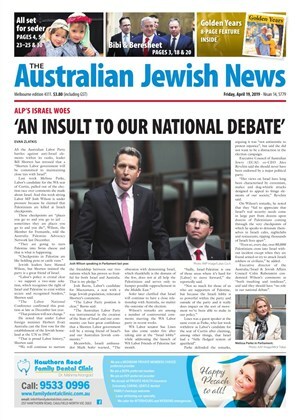 A war has broken out between the Sydney Beth Din (SBD) and South Caulfield Hebrew Congregation after the SBD issued ‘a siruv’. A BITTER feud has erupted between South Caulfield Hebrew Congregation’s board and Rabbi Yacov Barber, who hasn't been seen in the shul since July 1.